Today’s piece is a zipper pull. 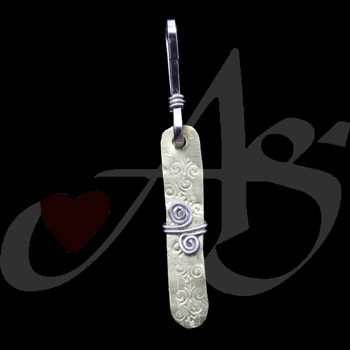 This zipper pull is hand cut and hand stamped brass metal, with nickel wire wrapping. If you would like this piece, a similar piece, or any unique piece of jewelry; contact us! Please “LIKE” us on Facebook for a continued post on Sterling Silver Jewelry. Today’s piece is a rosary bracelet with a colorful design. 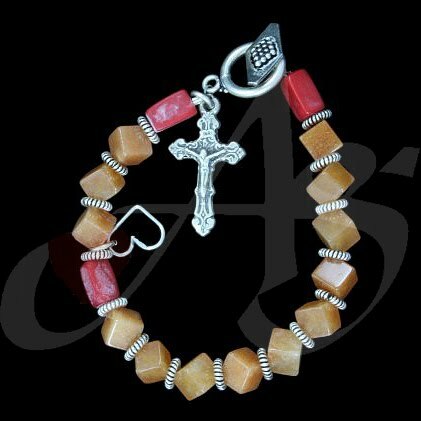 This bracelet is made with cube orange carnelian and brick red coral. In between each of the beads, to allow flexibility of the bracelet, are oxidized silver spacers. 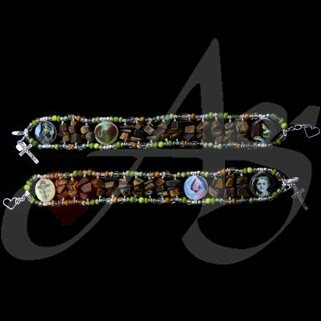 This bracelet is currently available. Today’s piece is a zipper pull. The support for the zipper pull, is a nickel sheet, which was hand-cut and hand-stamped. The brass wire work was hand twisted. Hanging from the bottom are three glass beads. The two outer are a purple-smoky color, and the center bead is a black-smoky color. This piece is currently available. Please “LIKE” us on Facebook for a continued topic of Silver Jewelry Care. Today’s piece is a shimmering ring. The ring is made with a sterling silver band and stone-wrap. The stone in the center is a purple cats-eye. The light ‘band’ you see actually moves with the ring! This piece is currently available. “LIKE” us on Facebook for a discussion about sterling silver jewelry. Today’s piece is a wonderful, hand twisted and hand-wrapped ring. The center of this ring is a pink rose quartz. 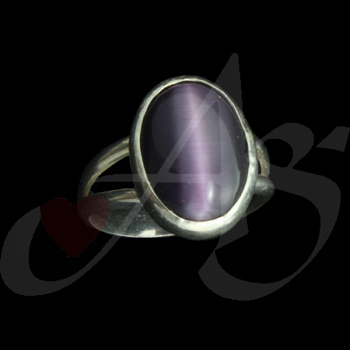 This ring is currently available. Today’s piece is a dainty pair of earrings. These are made with pearls and rhinestones. The pearl on the bottom is a light pink freshwater pearl. The pieces on top of the pearls are rhinestone roundels. Topped off with .925 sterling silver lever-back earrings. These earrings can help you look great without costing a fortune! These earrings are currently for sale. Please “LIKE” us on Facebook for the second part of the “gold-filled vs. gold plated” discussion. Today’s piece is a fancy Rosary bracelet. 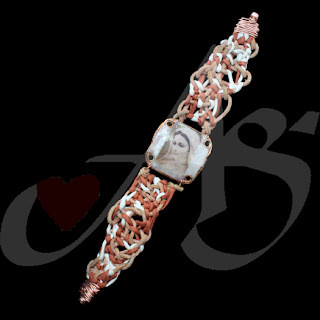 This Rosary bracelet is made of Mother-of-Pearl, water buffalo bone, and 14-karat vermeil gold. The Hail-Mary beads are Mother-of-Pearl, the Our Father’s are water buffalo bone, and all the spacers and spacers alongside the Our Fathers are the vermeil gold, with a 14k/20 heart shaped gold-filled clasp. This piece is currently available. “LIKE” Agape Gifts on Facebook, and read our discussion about Gold Filled Vs. Gold Plated. Today’s earrings are dressy, yet versatile. These are post-hung earrings. All the wire work is hand-twisted with the same technology as our unbreakable Rosaries. 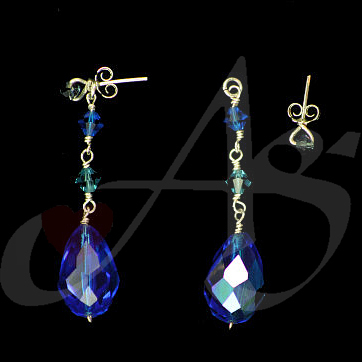 These Earrings are made with blue Swarovski crystals. 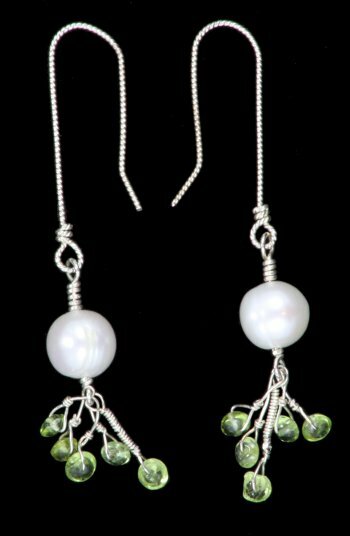 The posts, as you can see from the right pair of earrings, can detach from the dangle so that these wonderful earrings can be worn as both dressy and casual! This piece is currently available. Don’t forget to “LIKE” us on Facebook for the finishing of our discussion on crystals! Today’s piece is a set of earrings to match a bracelet which was featured on the 27th of May. 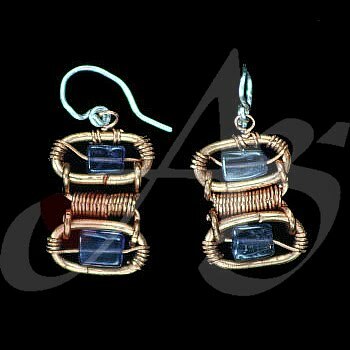 These earrings are made of copper and blue iolite bricks. All the copper here is hand wrapped and hand-formed. This piece is currently available. Don’t forget to “LIKE” Agape Gifts on Facebook for a continued discussion on the formation of crystals… amazing how God works, isn’t it? Today’s piece has been the inspiration for a multitude of other bracelets, and this is still the most unique. The center of the bracelet is our imaging process on a hand-made polymer center piece. The wrist-band is made of macramé knots between the three cording of brown and beige silk and natural leather. 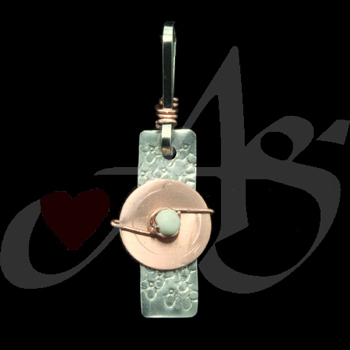 This piece also has a copper magnetic clasp and a copper catch, just in case the magnetic clasp comes un-done. This piece is currently available. If you would like this piece, a similar piece, or any unique piece of jewelry; contact us!! Be sure to “LIKE” the Agape Gifts Facebook, for a continued conversation on crystals. Today’s piece is a copper and crystal inspirational bracelet. The crystals used in this bracelet are matte pink Chinese crystals. This bracelet is strung using professional grade steel cable. Each of the different copper pieces on this bracelet have a different word of encouragement. This piece is currently available. 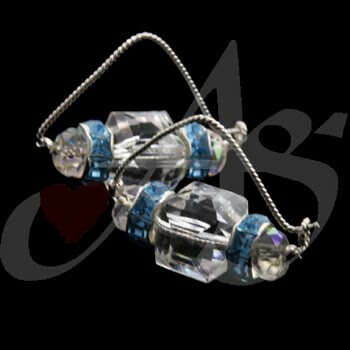 Be sure to “LIKE” us on Facebook for an informative blog on crystals. 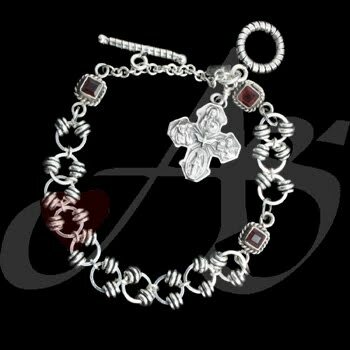 Today’s piece is a gorgeous blend of silver and rubies. All the silver links on the bracelet were hand twisted. The square Our-Father beads are ruby corundum. To learn more about corundum’s click here. This piece has a Holy Spirit cross, which unifies the Holy Family through the Holy Spirit in the center. This piece is currently available. 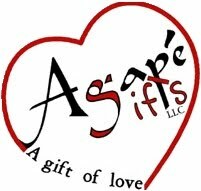 Be sure to “LIKE” Agape Gifts on Facebook for extra material! For the past two days we have been experiencing Internet connectivity problems. We hope to have these fixed over the weekend. We will resume daily postings on Monday. There will also be additional content available to those who 'like' us on Facebook that will not be available here. If you any questions, please feel free to contact us via e-mail. You are all very lucky to be treated to a second, extraordinary piece of artwork today. This bracelet is a 5-generation bracelet, and was a gift for the first granddaughter of the family. Each of the images represents each woman in the maternal family tree, which we will get to in a moment. the tiger-eye for the “Hail Mary” beads are the birth stone color of the husband and wife who received the bracelet. Going clockwise, starting at the upper-left corner, this is what the images represent of the bracelet. 1) The great great grandmother, by St. Margherita, 2) The relationship between the mother and mother of the new baby, “I love you like water”, 3) The mother of baby Ellen, by St. Cecelia, 4) The new baby, “Holy Women, please pray for Ellen”, 5) The grandmother to Ellen, who has a devotion to the Blessed Mary, 6) the great-grandmother, by St. Therese of Lisieux. If you would like a similar, or any unique piece of jewelry, contact us! Today’s piece is another addition in our zipper-pull week. This is made with copper then hand-stamped and hand cut. On top of being stamped for texture, the word “JOY” is stamped into the center of the zipper pull. 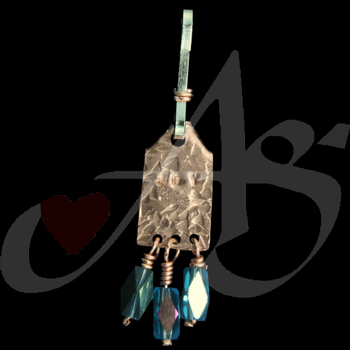 Hanging from the bottom of the zipper pull, on copper wire, are three turquoise-colored tube aurora borealis Swarovski crystals. This piece is currently available. Today’s piece is a zipper pull. A zipper pull may be used for a variety of things. It can be used on a purse, sweater, jacket, or anywhere a zipper may be hard to find… or to a piece that needs accessorizing. The background for this piece is nickel with bubbles stamped into it. On the center is a hand-cut, copper circle and a beige water buffalo bone. Stay tuned throughout the week for more zipper pulls! This piece is currently available. Today’s piece is a wire masterpiece. 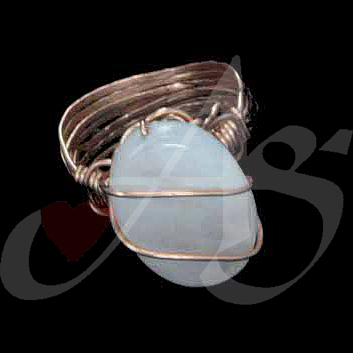 The body of the bracelet is made of .925 Sterling Silver Wire with copper wrapped around those. Strung around the perimeter of the bracelet is green silk. 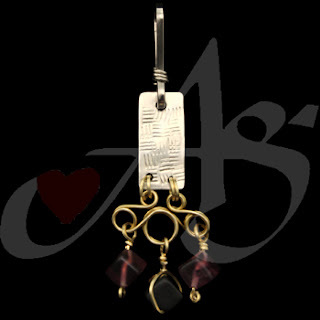 This piece is very flexible and wonderful to wear for just about any occasion! This piece is available. Today’s piece is a pair of new earrings. These earrings are handmade – and rather than hang in front of your ear, they are worn like a hoop earring, with the beads along the bottom. The beads in this case are white Chinese crystals and blue Swarovski crystals. This is currently available. Today’s piece is a great summer pair of earrings. 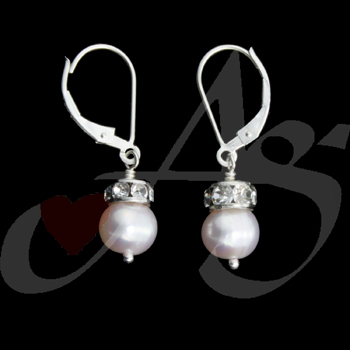 The main stone of these earrings is a round cultured pearl. Handing from each pearl are five green peridot buttons. The wire used here is hand worked sterling silver, and the fish hooks are hand made from a twisted sterling silver wire. This piece is currently available. Due to technical difficulties, we will not be posting a piece today. However, we will have two pieces up tomorrow.